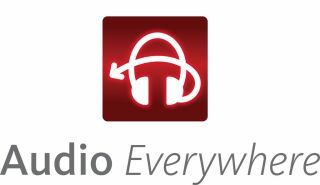 Audio Everywhere has been chosen for an exclusive partnership with leading fitness entertainment company MYE Entertainment. Under the agreement, Audio Everywhere and MYE Entertainment will co-develop hardware and mobile app features to enhance the MYE AppAudio system released in March 2014. The joint solution, consisting of hardware and mobile app features, will provide health club members with high quality audio that corresponds with the facility’s televisions but is controlled via their own Apple or Android devices. Rather than simply providing the soundtrack, however, the technology actually marks the emergence of a new marketing feature. By making it possible for fitness centers to customize their iOS or Android apps to feature the colors, logos and text consistent with their own brand, the technology creates new opportunities for club operators to market to members directly on their mobile devices via welcome screens with streaming video capabilities and by scanning banner ads, coupon offers, schedules and more.